You have a camera. You have a lens or two. You’ve taken some pictures. Now you want to improve your photography and are wondering if there are some things you ought to buy. But you don’t want to spend a fortune, or load up on stuff you won’t really use. I know you don’t want to lug a tripod around all the time. But it is the thing that will drive the most improvement to your photography. This is the thing that is going to improve sharpness and overall image quality at any time of day. It makes low-light photography possible. It opens up neutral density and other filters. It should probably be your first purchase once you have your camera and lens. My top two items in use at Acadia National Park: a tripod and a remote shutter release. When it comes to picking the actual tripod, there is a simple, often-stated rule: you want one that is: (1) stable, (2) lightweight, and (3) cheap, and you can pick any two of those attributes you want, but not all three. You’ll have to pick which compromise is right for you. Just make sure the tripod is stable, you are comfortable with it, and tall enough for you. You want it to reach eye level when the legs are extended (without using that center column, which decreases stability). You might be tempted to pick up a super-cheap tripod next time you are in Best Buy or Wal-Mart or something. I would urge against that, as they really won’t work at all. They won’t support the weight of your rig and are just useless. On the other hand, you can spend a fortune on these things. A really nice carbon fiber tripod can cost over $1000 (without the ball-head!). Before you shell out that kind of dough, remember that a tripod is really just a glorified rock . . . just something you put the camera on to keep it steady . . . so I recommend you use that money on something else. Recommendation: My first recommendation is that you read 8 Tips for Purchasing a Tripod. If you are more concerned a small size, check out the BeFree Compact Lightweight Travel Tripod . Otherwise, check out the Manfrotto 190X . I like both of these. But keep in mind that this is a personal decision and there is no right or wrong answer. In addition, there are hundreds of models to choose from. Basically, this is a remote control for your camera. It will eliminate the slight shake to the camera caused by you pressing the shutter button. Modern versions also let you take photos at intervals. Get one with a cable that plugs into your camera. They are reliable and super-cheap. Earlier this year I had one swept out into the ocean (don’t ask), so I went to buy a new one and paid about $8. They are so cheap now I actually bought 2. There is just no downside to their use. Eventually you will also want a remote-control model too. I don’t find the remote control models to be as reliable, so I generally use the models with the cable. But these are good if you want yourself in the picture or you cannot stand next to your camera for some reason. Plus even the remote units are pretty inexpensive so it is not a bad thing to have in your bag. Recommendation: None. It is just too camera specific a product to recommend one model. Each camera takes a different model. Don’t buy a Canon or Nikon version though, they just cost too much. Here is some good news for you: Whereas back in the film days you needed lot of filters, you really don’t anymore. You only need a few, and the circular polarizing filter is one of them. The polarizer does two things: (1) it makes your skies bluer, particularly near midday, and (2) it cuts through reflections on water and glass. Just spin it around until the sky looks darkest before taking your picture. Some people buy polarizers and just leave them on their lens, but keep in mind that doing this costs you two stops of light. I wouldn’ do this. But it is a handy addition to your bag. Recommendation: I like the B+W Polarizer . It is what I use. I will not pretend that I have conducted a test of them all, it is just what I use and I have been happy with it. Make sure you buy the size that fits your lens! We spend so much time trying to make sure that we have enough light coming into our cameras, that my next recommendation might seem strange if you are new to photography. It is a filter that is designed to restrict the amount of light coming into your camera. What is this madness?!? There are times when you want a long shutter speed. For example, think about pictures where the water in a stream or a fountain seems to be flowing rather than granular. That’s the effect of a slower shutter speed. A neutral density filter cuts the amount of light coming into your camera by a given amount of stops of light (typically between 2 and 10 stops). It allows you to slow the shutter speed down without overexposing the picture. Now you can slow the shutter speed enough that the water appears to be flowing even in the middle of the day. I personally have one on my lens over half the time if there is any moving water in the shot. Recommendation: I use and like the B+W ND filters . I have 3 of them in different strengths. I would start with a 10-stop neutral density filter, which is the strongest ND filter you will probably ever want. Again, make sure you get one that fits your lens. And make sure you have a tripod before screwing one of these on your lens! The graduated neutral density filter works just like a neutral density filter, but only on part of your picture. It will darken the top portion of your picture but leave the bottom portion alone. You typically use it to “even out” your exposures when you are faced with a bright sky. On occasion, it is a lifesaver. Most of these filters are rectangle pieces of glass that are held in front of your lens by a bracket. You will have to buy the glass, the bracket, and a piece that fits your lens size. The glass usually doesn’t cost much, but the bracket does, so a trick to just buy the glass and hold it in front of your lens while taking the picture. Recommendation: Get the Cokin filters. They work great. However, you can get the off-brand bracket for a fraction of the cost of the Cokin bracket. The bracket does not affect the optics or picture quality, so why not give that a try? I have used an off-brand bracket and it has worked quite well for me. But my camera came with software! And I don’t want to learn new complicated software! And I don’t want to spend my time sitting at a computer messing with pictures anyway! All valid, and I thought all that too. But forget all that and go get this program. It only costs about $100 (or $10 a month if you get the recommended Photographer bundle from Adobe), it is simple to use, and it is the state of the art program for organizing and retouching your photos. What’s more, it will create slideshows at the touch of a button and also help you create books of your photos. Virtually every pro and advanced amateur uses it. After a little while, you won’t know how you lived without it. Recommendation: Buy it direct from Adobe, or through Amazon . You’ve just got to have one. Get one that isn’t too big and that doesn’t look like a camera bag. It will make your gear less susceptible to being ripped off, and plus it doesn’t make you look like a tool. This unit attaches to the bottom of your camera and does two things for you. it adds another set of camera controls so that when you are holding the camera to take a vertically-oriented picture your hand can operate the controls from the same position as it would normally use. Either a major detraction or a side-benefit, depending on how you look at it, is that it makes your camera much bigger. Recommendation: The model will depend on your camera. I have had great success with off-brand models, and they cost a fraction of what the Canon or Nikon models cost. Your popup flash won’t cut it. Most high end cameras don’t even have popup flashes (and for good reason). So you will need to get a separate flash. Even if you don’t plan on using it (and a lot of outdoor photographers don’t), it will work great for you in dealing with harsh shadows. You will find that you use it most when it is bright outside, and that might seem counter-intuitive to you. Flash units can intimidate beginners, but there is no need. 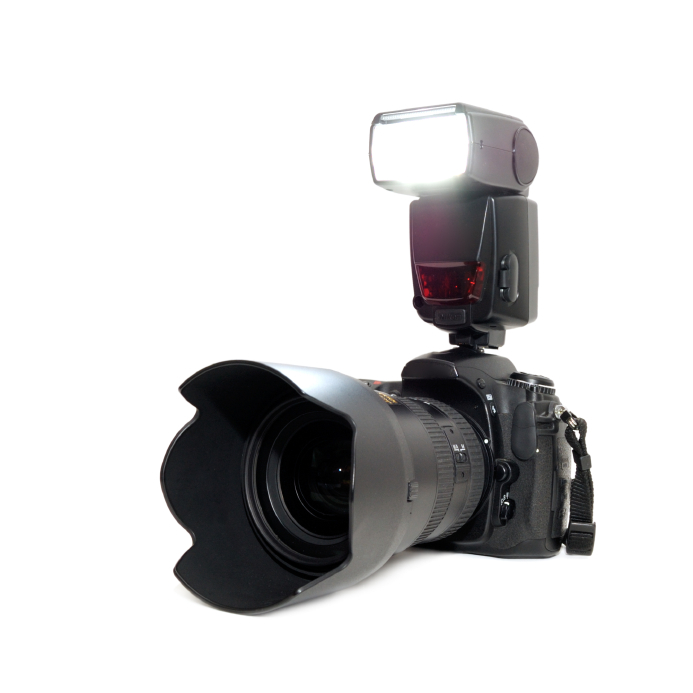 Check out my beginning flash article to get you started, then go get one. But don’t rush out and buy the latest Canon or Nikon versions or it will cost you about $500. Rather, get our recommended model for about $70. It will do everything you need, and will last a long time. Promise. You don’t need to rush out and buy all of this stuff, but I would keep this list around and make the first items you buy come from this list. If you end up with all of this stuff, you will have a pretty nice set-up.